I almost didn’t see this film. I have a bunch of freebies at the moment, and to collect on this one I couldn’t go local – which for me meant leaving my bohemian nest and that is not something I enjoy doing. However, a trip to Sydney harbour to see a film so many people were raving about that had a class line up of actors and a director I had heard was fine was enough to drag me to a train and make the 15 minute trip into circular quay. I wasn’t disappointed. In the end I am thrilled I caught this on the big screen. This is a very very good film and comes highly recommended from me. Dread exists all through this film, in the muted colourings to the intellectually snaking plot, this dread exists like a pulse through murrmerd conversations, smoke-filled rooms and meandering crossing train tracks. I have read that this is a film that keeps you on high alert, and that is precisely my experience of it. I adore art that doesn’t assume I’m stupid. Its one of the most important criterion for me in anything I do, but it especially rankled me when I can tell the artist is taking their time to explain. This happens so regularly in contemporary cinema that It is rare I consider anything I see as art. Not this time, not this film. I was on ‘high alert’. Straining not to miss a word, holding my breath for the next chess like manoeuvre. The British secret service in the 70’s is ‘the circus’ and I am drawn completely into its weird meandering world within this film. 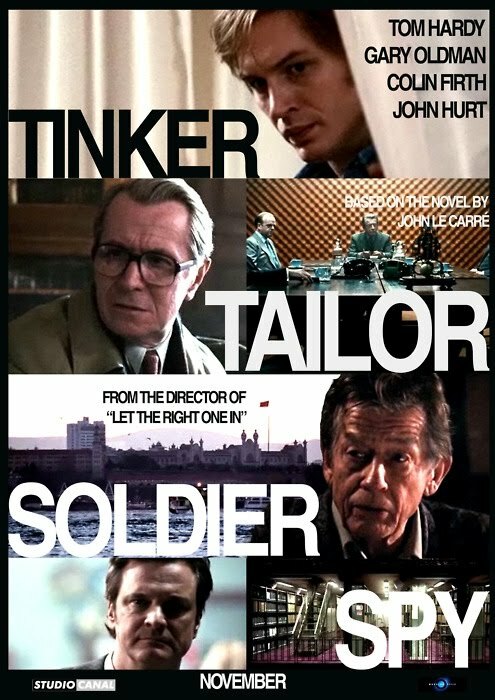 The films protagonist, George Smiley (Gary Oldman who is understatedly brilliant in this film) knows that knowledge is power, but it is also fear. The story is set in 1973 (how many retro films have their been lately – I saw three in the last few months alone that leap to mind) and the story is drawn from John Le Carres book by the same name, which is the first in a trilogy about a Russian spy named Karla. This is a thinking film – don’t expect a spy-car-chase-movie with the theme of mysteries within mysteries at its core. It is represented from the start as a chess game of sorts (dull metaphor I know, but apt in this case) all the pieces scattered about the board, slowing coming together till we realise there has been a strategy brilliantly at play all along. 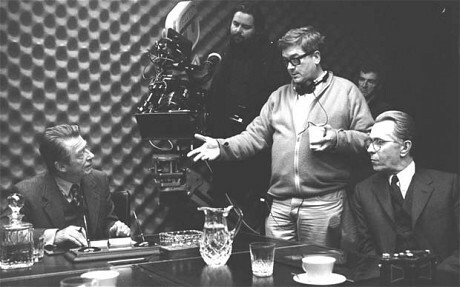 The head of the service, known as Control (John Hurt), believes that there’s a Soviet agent, a mole, among the agency’s elite. 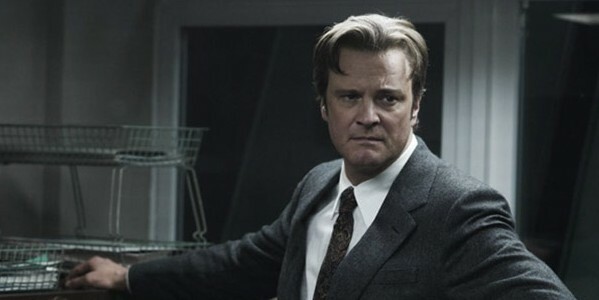 His main suspects include his closest aide, Smiley, along with Percy Alleline (Toby Jones), Toby Esterhase (David Dencik), Roy Bland (Ciaran Hinds) and Bill Haydon (Colin Firth). 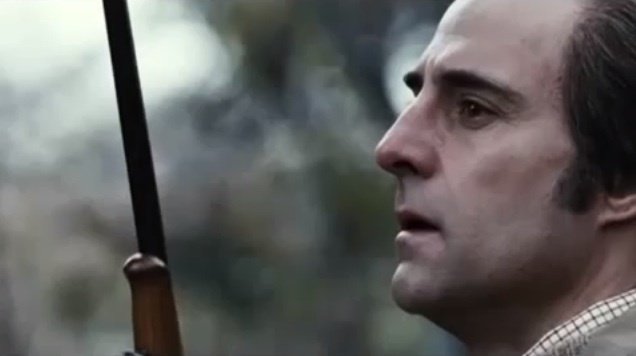 To find the mole, Control secretly sends Jim Prideaux (Mark Strong), who runs the agency’s scalp hunters (field agents with dirty, sometimes bloodied hands), to Hungary to retrieve information. But Prideaux, in an agonizing botch-up, is shot, and Control, already politically weak, is fired along with Smiley. This film and time period is set against that now quaintly old-fashioned time period when Russia was simply the enemy and that was all we cared about. The secret service at this time is filled with old (and oldish and young-old) men. It’s a world of secrets and lies, shadows and light, illusions and sordid truths, loyalties and perverse betrayals. This is brought to bear for us brilliantly with our opening scenes in Control’s apartment, a cluttered den with towers of falling books settled under a haze of cigarette smoke. “There’s a rotten apple,” Control says to Prideaux, drawing on a cigarette as he explains his theory about the mole, the folds in Mr. Hurt’s magnificent face sagging a bit lower. It’s a face that reminds me of Samuel Becket’s, every line another tale in a bleak and difficult life – is how Hurt plays this instrument for our pleasure. It is Hurt’s face and his lyrical voice that, with a director as skilled as Alfredson bring another dimension of life to a character words can’t touch. Working from Bridget O’Connor and Peter Straughan’s intelligent script, this terrifically talented director distills the novel’s essence, finding images, as with the Circus’s chessboardlike walls, that express what the film’s words and characters don’t. Visually this is a fantastic film, despite its greying and tired walls, its bleak British drizzle and the dusty brown jackets. Smiley, who doesn’t say a word until 18 minutes in, re-enters the spy game at the behest of a government minister, Oliver Lacon (Simon McBurney). Lacon has received alarming information from Ricki Tarr (Tom Hardy), another scalp hunter, who has met a Soviet woman, Irina (Svetlana Khodchenkova), with apparent knowledge of the mole. Using Tarr’s lead and with the help of a trusted Circus agent, Peter Guillam (Benedict Cumberbatch), Smiley begins ferreting out the mole, spying on the spies. In the course of this investigation he uncovers an operation called Witchcraft and runs up against an arch-villain, Karla. IN one of the films best scenes (and so much of this film is ‘best’) Smiley re-enacts for Guillam a chance encounter he had with Karla years earlier. Oldman addresses the empty chair, accidentally spilling his deepest fears against his greatest foe. And yet he comes away with his own recognition of the weakness of the great man. I loved this scene and the way the two men will use the information they gleaned from each other in that sparse moment is electrifying, as well as shockingly uncompromising. First among the watchers, of course, is Smiley, the anti-Bond described by Mr. le Carré in “Tinker, Tailor” as looking like “one of London’s meek who do not inherit the earth.” Oldman’s Smiley is a brilliantly performed character. Alfredson and Oldman don’t dominate the screen in bursts of fervor, but rather take it by stealth, incrementally, as we get closer and closer to what makes this man tick and how it is being used against him. Smiley is on the outside of a world he knows well and it still a part of. A regular flashback of a party years before, when everything started to unravel comes from Smiley as he pieces together what has been going on at his work, in his life, at his home, in his heart for years and comes to term with the realisation of that. I had an amazing time with this film. It has brought Alfredson to my attention and I will be seeking out many more of his films. Try to catch this one on the big screen. You won’t be sorry.